While Americans across the nation are contributing to lower productivity, office bracket pools and business-hours basketball viewing, MESA has a little March Madness of its own going on. This month marks the time of year when MESA students also get their competitive juices flowing and get to show off all the hard work and dedication they put in during the fall. They are competing in preliminary MESA Days, a yearly showcase of STEM know-how. 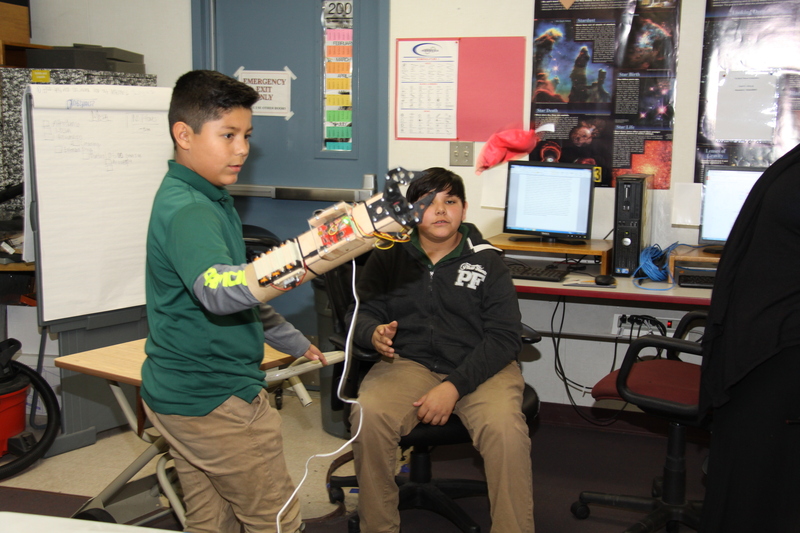 Middle and high school students conceive, design, create and test various engineering projects through the fall months, including prosthetic arm with robotics, mousetrap-powered car and balsawood bridges. Winners will move on from the preliminary contests to vie at regional and possibly state and national competitions. These projects marry the core math and science concepts students learn in the classroom with real world application. And while “project-based learning” has been a hot term in recent years, this hands-on learning has been a key part of MESA’s award-winning model for decades. And the process works. Last year’s MESA National Engineering Design champions – two female, Compton Unified School District students – are now engineering students at UC Berkeley and UC Irvine. MESA alumni share stories time and again about how the hands-on project of their high school days inspired them to become engineers. And while “bracketology” is the science of the masses this month, MESA students will be spending the next two weeks polishing up on their physics and computer science. They can handle basketball statistics a little later.